Within our series on building a WooCommerce extension, we’ve talked about using classes while building a widget and while creating a complex shortcode. Today we’ll take a look at building a simple WooCommerce payment gateway integration, as this will give us an opportunity to extend a WooCommerce class. WooCommerce gives you several core classes, such as payment gateway or email classes, that can be extended to add your own functionality, saving you time on development and ensuring your plugin works in a standard way. The documentation available on the payment gateway API is pretty helpful, and addresses many of these steps. This tutorial requires intermediate PHP and WordPress development skills. This is a bit of pluginception going on, but the WC_Payment_Gateway class is actually an extension of the WC_Settings_API class. The WC_Settings_API class gives us the basic structure for all settings used throughout WooCommerce, such as the ability to create form fields and validate them. The WC_Payment_Gateway class extends this to give us structure and functions that will be specific to payment methods, such as the ability to get order totals or the thank you page URL. By extending this class to create our own payment gateway, we can benefit from the structure already present. This handles various functions for us, such as getting the title and description and displaying it on the checkout page. When you extend a class within your own plugin, you gain the functionality associated with that class, and you can add your own or make changes with overrides. Another place this is helpful is when adding your own emails or widgets, as you can extend WooCommerce core classes to benefit from the basic structure present. All payment gateways in WooCommerce will begin by extending the WC_Payment_Gateway class. Because we’ll be extending a class in WooCommerce core, we’ll need to be sure it’s active so that class is present to avoid fatal errors. We can’t extend a class that doesn’t exist 🙂 . The easiest way to do so is to add a check for WooCommerce within the active plugins, and to return if it’s not present. I’m going to wrap this in an init function and hook into plugins_loaded later than the default priority. This ensures that if WooCommerce is active (which we’ve just checked for), we load our class after WooCommerce core (making this a secondary check against fatal errors). This ensures that, not only is WooCommerce active, but we’re loading after it so the WC_Payment_Gateway class is available. * Provides an Offline Payment Gateway; mainly for testing purposes. * We load it later to ensure WC is loaded first since we're extending it. The first thing we’ll do in our class is build our __construct() function. This will load in the variables that we need to include in our class. $this->icon = the link to the image displayed next to the method’s title on the checkout page — this is optional and doesn’t need to be set. $this->has_fields = true or false (bool). This should be false for our simple gateway, but can be set to true if you create a direct payment gateway that will have fields, such as credit card fields. Once we’ve set these variables, the constructor will need a few other functions. We’ll have to initialize the form fields and settings. Form fields will be set in the init_form_fields() function, which adds all of the settings fields (such as enabling the gateway and adding a title to be displayed to customers). We’ll also add our actions to our constructor, which we’ll get to next. We’ll need to create an init_form_fields() function to set up the form fields for our payment gateway. A stub for this function is included in the main settings class, which we’re extending (by proxy), so this is an example of a method in a child class overriding the method in its parent class. While the function does nothing in the parent class (aside from make sure there are no fatal errors if you don’t override it), we’ll give it some functionality in our child class. The basic fields that we should include are enabled, title, and description. Enabled will be a checkbox that allows the user to enable or disable the gateway on the checkout page. Since I’m creating an offline gateway, I’m also going to create an “Instructions” field, which I’ll add to emails and the “Thank you” page to remind customers of how to remit payment. You can create these fields in the same way that you create any WooCommerce setting (as we’ve already shown the payment gateway class extends the settings API to let us do this). Now we have basics about our gateway, such as its name and description, along with fields that merchants will fill in within its settings. Since we’re extending WooCommerce core classes, WC will handle rendering these at checkout for us when our gateway is enabled, so now we just need to worry about how the gateway should act at checkout. This is the most important part of the payment gateway. There are a few pieces to this function. Set the correct status for the order. In this case, we want to mark orders as “on-hold” since the payment hasn’t been received. Reduce Stock (optional). You probably want to reduce inventory once the order is processed to reserve the stock. However, you can leave this out if the order won’t reduce stock until the admin manually reduces it (not recommended), or if you’ll be adding your own code to reduce it when the status is changed from on-hold to processing. Remove the cart with WC()->cart->empty_cart();. Now that the order is placed, we should empty out the cart. Redirect to the “Thank you” page. We’ll want to display the “Success” result since the order was placed, and redirect the return URL for that order (so we display the correct information). This function handles the processing of the order, telling WooCommerce what status is should have and where customers go after it’s used. Now we’ve got some final polish steps to take care of. Since this gateway requires further instructions to complete the payment, we want to be sure its instructions are shown on both the thank you page and order emails, which is what the thankyou_page() and email_instructions() stub methods are for. * Output for the order received page. * Add content to the WC emails. Instructions field displayed to customers on the thank you page / emails: check. This filter gives us the array of all available gateways, so we’ll add our gateway into this array, then return the array with our gateway added. This is a very simple example of how to add a payment gateway to WooCommerce, which is essentially a clone of the “Check Payments” gateway. If you’re integrating with a payment processor, you’ll need to incorporate posting and receiving information from the payment processor, and this will get more complex (you may even need to include tokenization / saving cards to customer accounts). This will vary with each payment processor and the API the processor provides. However, this sample includes the basics that will need to be handled from the WooCommerce side of things, such as the settings, setting the initial order status, redirecting to the thank you page, and including any needed info in emails. We’ve got a working sample of an offline gateway that basically clones the functionality of the “Cheque” gateway. You could use this to accept another manual payment method, such as “Invoice Later”, or use this as a “Test” gateway if you’ve already allocated the Cheque gateway to something else. Hello sir, how do i redirect payment gateway page, could you give example. Great Great Stuff. I’m running a marketplace website with several buyers. At the moment all the money from the buyers gets into my bank account and I have to transfer the money manually to the vendors. Is it possible to write a custom gateway for marketplaces. I’m using woocommerce and WC Vendors. If It’s possible please show me the way. Thanks Beka. Unfortunately we do not have pay pal in my country. Great guide, glad i found it. What might be the best approach to adding in custom fields for the buyer to complete at checkout when the new off-line gateway is used (e.g. radio button, select, text field) and then show that info within an order on the WP Dashboard. A good example would be Direct Debit, or similar. So that those details can be processed off-line before manually pushing the order to complete. but can you guide me how to redirect my custom bank payment page link. Is there a possibility to validate the Input of the setting fields ? Excellent tutorial. Thanks for sharing this amazing guidelines to create my own payment gateway. 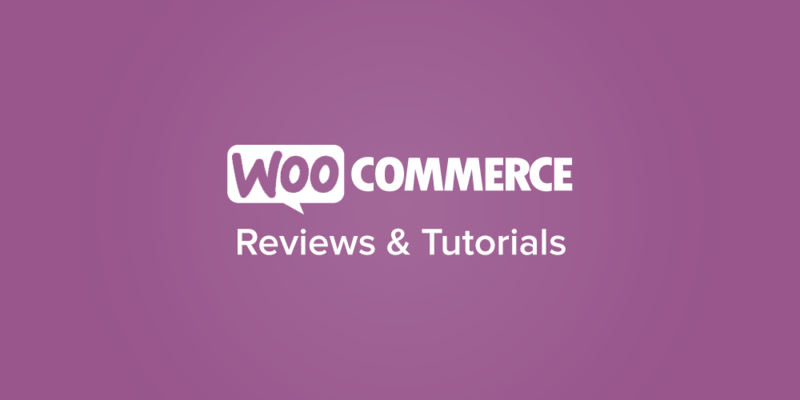 I think woocommerce is best. Thank you for a great tutorial Beka. I’m rebuilding an existing payment gateway and this helps me to understand what everything means. Could you suggest any resources for adding support for Subscriptions? Hey Nate, I’d check out the gateway integration guide from the Subscriptions team for this.